Badger baiting is an illegal blood sport that involves the use of dogs in baiting badgers and was popular in past centuries. Where fox hunting has its 'for' and 'against' arguments, most of the arguments regarding badger baiting are firmly in the 'against' category. This was an early form of badger baiting relied on the badger being able to defend itself against the dog. It involved the creation of artificial badger dens, which were used to stage the confrontation. Badger were captured from their natural environment and put in the den, and would immediately need to defend itself against the dog. In most cases, the dog would pounce on the badger, who in turn would attack the dog, thus producing a stalemate. The owner of the dog would pull the dog back and the badger would go back to its den. Shortly afterwards, the same sequence of events would unfold. This would continue for some time. Drawing the badger become very popular at sideshows, and punters liked to place bets on the outcome. Because of this, it became an integral element of badger baiting in pits. As badger baiting become more popular, pit fights were conducted outside cellars and taverns to entice customers. Modern badger baiting isn't much different, except for the fact that the badger's claws and teeth will often be taken out beforehand to make the fight last longer. By the mid-19th century, dog fighting had replaced badger baiting as one of the most popular blood sports in the country. In 1835, badger baiting actually become illegal, but fights were still conducted in London after the Cruelty to Animals Act was passed. Even today, it is still done on an illegal basis. There are several dog breeds that are specifically bred for badger baiting purposes. In the UK (and Ireland), these include Airedale terriers, Bedlington terriers, Blue Paul terriers, Fox terriers, Glen of Imaal terriers, Sealyham terriers, Bull terriers, Staffordshire bull terriers, Welsh terriers, Wheaten terriers and Kerry blue terriers. Some countries in the North of Europe use Dachshund hounds and Bassett hounds, whereas some countries in the South of Europe use Portuguese Podengo breeds. Despite being strictly illegal since the 19th century, badger baiting has experienced an increase in popularity in recent times. 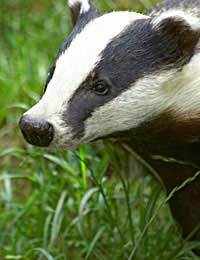 The Royal Society for the Prevention of Cruelty to Animals (RSPCA) suggests that as many as 20,000 badgers are killed due to badger baiting in the UK in a single year. Much of the reasons behind its rise in popularity hinge on the reward given to those who capture a badger from its natural habitat and sell it to bait organisers. The going rate is usually around £500 per badger. Because it's an illegal activity, anyone caught engaging in badger baiting can be sent to prison for up to six months, and given a £5000 fine. Hi @ANNE THE MAN. You can send information on badger digging to Scottish Badgers @ ian@scottishbadgers.org.uk, the SSPCA or the Police. If you do send any information to the Police or the SSPCA please make sure to send it to Scottish Badgers also. Many thanks! I have had people digging up badger sets on my farm.